Spin This: "Send My Love (To Your New Lover)," "Water Under the Bridge," "Hello," "When We Were Young"
From top to bottom, Adele Adkins’s 21 was stellar — a one of a kind album that could easily be her magnum opus, the greatest highlight of her career. Trying to top it would be like MJ trying to outdo Thriller, or Steely Dan outdoing Aja, or Carole King outpacing Tapestry. You get my point. So let’s set the record straight; Adele – still living in the apex of her creativity – may never trump her sophomore release, but she comes very close to touching that aspiration on 25. On this adventure, she tips slightly away from the comforts of Paul Epworth and Ryan Tedder’s production chambers to bring in a few more heavyweight producers, resulting in a project that’s uniquely opposite from her previous work. Max Martin and Shellback’s contribution on “Send My Love (To Your New Lover)” is the ultimate bread winner here. 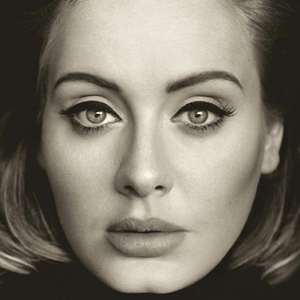 It literally puts Adele on something vibrantly urban, amorous and boasting an R&B kick. The song’s delicious chorus sashays around parts of Lorde’s “Royals,” but is beefed up with more hype: airy background vocals, dreamy synths, big bass and coffee shop guitars. It’s the single that Adele has been screaming for. She needed something that combined midtempo swaggered beats and youthfulness, and she’s finally got it. “Water Under the Bridge,” a Greg Kurstin collaboration, traces that same methodology, placing Adele’s trancelike vocals on something that traces euphoric Annie Lennox pop. The Danger Mouse-produced “River Lea” marries some of the gospel passion off of 21 by tossing tambouring action into angelic Florence + the Machine tactics. But Adele works best on those power ballads. No, there’s not a gospel-tinged “One and Only” here, but she is wonderfully entertained by universally-appealing compositions like “Hello” and “When We Were Young.” The latter, a song she co-pens with Tobias Jesso, Jr., is a lyrical beast. The song paints a picture of timeless beauty, creating a Valentine’s card for the books. “You look like a movie/You sound like a song/My God, this remind me of when we were young.” As the song trots to the end, the fear of aging enters the picture, which makes her lyrical suggestion of “photograph[ing] you in this light in case it is the last time” so heavy and pronounced. Adele also makes some startling changes to her sonic template. She doesn’t go for the gospel soul of 21. Instead she relaxes into a bed of acoustic renderings, usually set to piano-only accompaniments or acoustic guitar. Think “Turning Tables” or “Someone Like You.” It sounds as if she’s comfortable with growing older and maturing her sound. But that’s where the album tends to slumber a bit more than it should. There’s too much of that on this disc. It’s pretty, but there’s too much of it; “Remedy” and “Million Years Ago” and even the Bruno Mars-coauthored “All I Ask” are just a few of them. “Love in the Dark,” another one of those tender lullabies, tries to shake things up by offering a swelling string section. 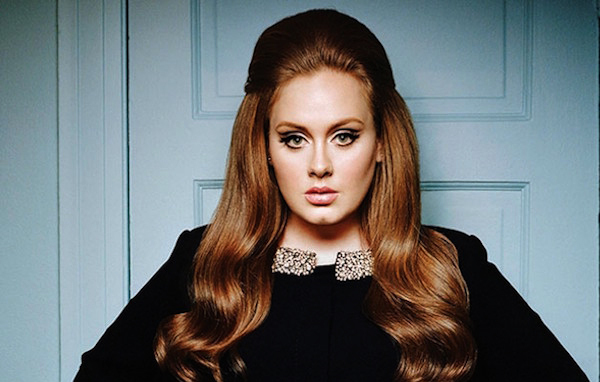 It helps to hear that little ache inside Adele’s vocal, where she breaks down over the doom of a broken relationship. “I can’t love you in the dark/It feels like we’re oceans apart/There’s so much space between us/Baby, we’re already defeated,” she sings. Still, the idea of taking on bigger risks and edgier sounds would have probably given 25 the gravitas to rise above her previous studio album. Maybe it’s too soon for that. On the Target deluxe edition, three tracks find her collaborating with singer/songwriter hitmaker Linda Perry and “Uptown Funk” producer Mark Ronson (“Can’t Let Go,” “Lay Me Down”). It’s more of the same – simmering slow ballads cooking in a Crockpot. But that’s not necessarily a bad thing. This thing works for Adele, and if it’s not broke, then why try to fix it.